Are their eyes still watching God? 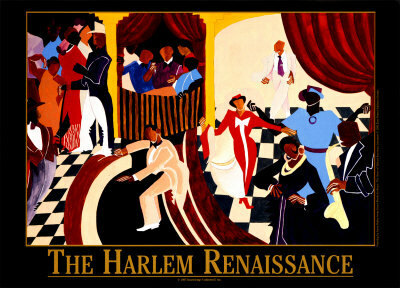 I’ve always been fascinated with the Harlem Renaissance, and the geniuses who embodied a time of artistic expression. I gobbled up any and all literature about the eclectic, cultural period, and the players like poets Langston Hughes, Countee Cullen,writer Jessie Redmon Fauset, artist Romare Bearden, and historian and scholar W.E.B DuBois. In 1980, it was by sheer stubbornness that I discovered the work of writer, anthropologist, and folklorist Zora Neale Hurston. I was writing poetry, a few short stories and had begun to think about a novel. I was pleased to learn that Mrs. Redmon Fauset was a leading female writer during the Harlem Renaissance. But then I became agitated. Why weren’t there more female writers during that time? I started digging–again, and then ran across an article about a woman on the verge of becoming one of the greatest literary figures of our time. Zora. I began devouring her books, short stories, and her life. Born in 1891, Ms. Hurston and her seven siblings lived with their parents, who were prominent leaders in their middle-class community. Although she had a pleasant childhood, she was astute enough to recognize the often fragile imperfections of life, especially after losing her mother at a young age. I was mesmerized by her work, “Mules and Men” and ultimately, her most famous book, “Their eyes were watching God,” a spiritual journey of a middle-aged woman, Janie Crawford, toward love and self-awareness in rural Florida in the 1930s. I remember dreaming of what it would be like to bounce ideas off Ms. Hurston or have her critique my short stories, much like Owen Wilson’s character in “Midnight in Paris,” a writer who travels back in time and becomes friends with greats Gertrude Stein, Pablo Picasso, and Ernest Hemingway. Hurston was such an inspiration to me, which makes the fact that $943.75 was the highest royalty she ever earned from any of her books, heartbreaking. She never received the financial rewards that we as writers hope to achieve. Not so far-fetched, it was still hard for me to fathom that this eminent figure of the Harlem Renaissance died in 1960, penniless. However, thanks to the unrelenting efforts of Alice Walker, author of the “Color Purple,” and a few others who have taken an active interest in the power of Hurston’s work, her ideologies and words live on, much like another hero of mine, Edgar Allan Poe. In 2005, Oprah Winfrey produced a television adaptation of “Their eyes were watching God,” which starred Halle Berry as Janie Crawford. It received mixed reviews, often citing that the movie left out important concepts found in the book. One thing is clear, it thrust Ms. Hurston’s book back into the literary world–after being out of print for almost 30 years–and took it by storm. Again. 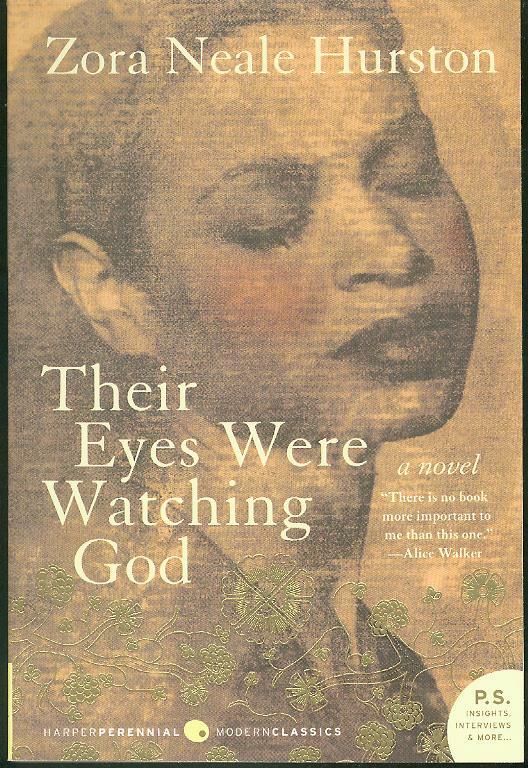 August 2012 marked the 75th anniversary of, “Their eyes were watching God.” Since its original publication, it has been lifted from years of obscurity and now appears as required reading on many college syllabus. Harper Perennial, (an imprint of Harper Collins Publishing) sponsors The Zora Neale Hurston Award, which honors librarians who demonstrate leadership in promoting African-American literature. A fitting tribute. Finally, Ms. Hurston’s grave in Florida is no longer unmarked, and is clearly identified with the epitaph: Zora Neale Hurston: A Genius of the South.” I hope to visit in the near future. and Alice Walker. Listen to the voices of emerging writers, who use the 1920s and 30s as the setting for their WIPs. There’s an undertone, an echo of Ms. Hurston’s voice, and often with the gritty, primitive dialog once criticized by many—particularly Renaissance elites. Good versus evil, man vs. nature, man vs. man, search for love, the meaning of life, and the fight against societal dictates are still prevalent themes that keep readers reading, teachers teaching, and literary scholars and critics debating. And in that place where literary greats like Hemingway, F. Scott Fitzgerald, and Langston Hughes gather in heaven, Ms. Zora Neale Hurston is there too, watching us. This entry was posted in Life, literature, Thoughts, Writing and tagged 1920s, 1930s, Alice Walker, Artists, Countee Cullen, Ernest Hemingway, F. Scott Fitzgerald, Gertrude Stein, Halle Berry, Harlem Renaissance, harpercollins publishers, Jessie Redmon Fauset, Langston Hughes, literature, Oprah Winfrey, Poets from 1920s, Ralph Ellison, Romare Bearden, royalties, The Color Purple, Toni Morrison, W.E.B. DuBois, writers, Zora Neale Hurston. 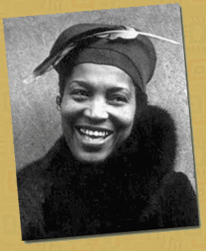 Glad to have found you and to share our mutual love of Zora Neale Hurston. She brought me to new heights in writing. Thank you for stopping by and commenting on my post. It was my tribute to Zora. I’m glad to meet someone who has been inspired by her as well.